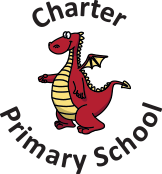 Here at Charter, we want our pupils to be fully involved in their school. This involves the children taking on roles of responsibility and having a say on how we do things. Each year group, from year one, is assigned a particular area of responsibility for them to hold. Meet with the year 6 subject ambassadors each term.